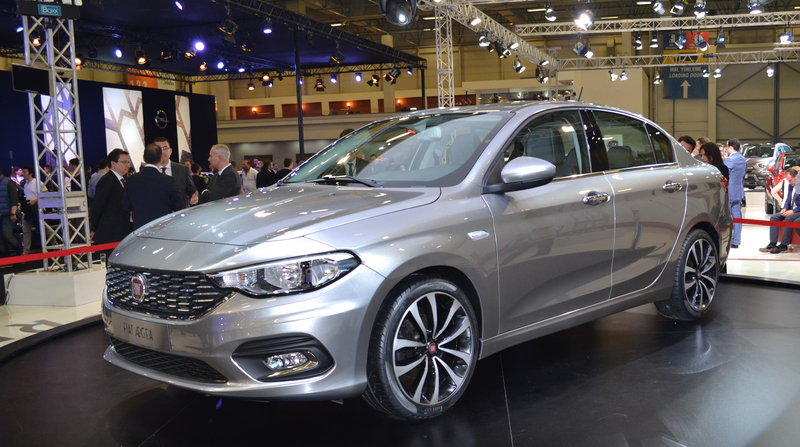 Fiat Europe gets ready for the launch of its all-new C-Segment family. The first reveal took place in June at the Istanbul motor show when the brand showed the Aegea sedan to replace the popular (in Turkey) Linea. The next step will be Geneva 2016 when it is expected the reveal of the rest of the family: the 5-door hatchback and the SW. 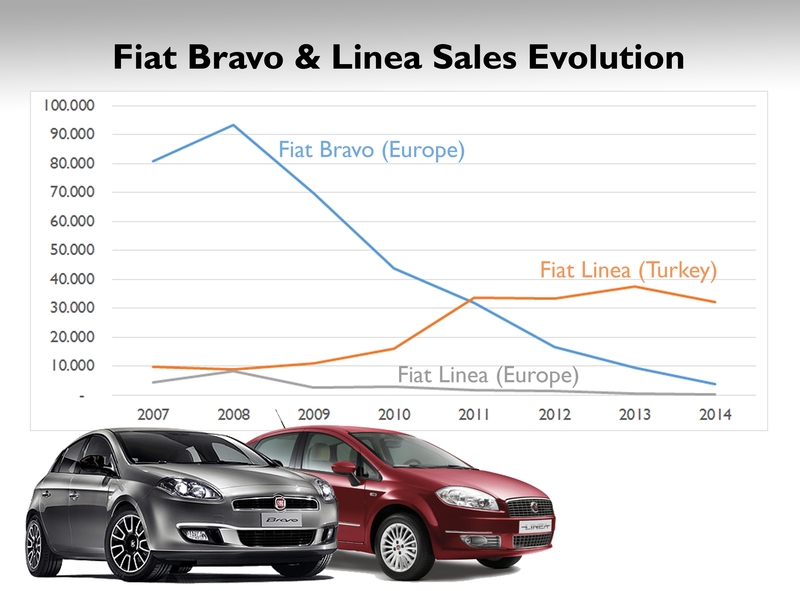 They will be all produced in Turkey from where it will be exported to EMEA markets in an attempt to regain some of the market share left by the unpopular Bravo and improve Fiat’s position in Europe’s second largest segment. The Aegea family will help Fiat to enlarge its universe of products and decrease its dependence on the 500 family, which in some cases accounts for more than 2/3 of the brand’s sales. However the way Fiat wants to position the new Aegea may generate other problems inside the range. 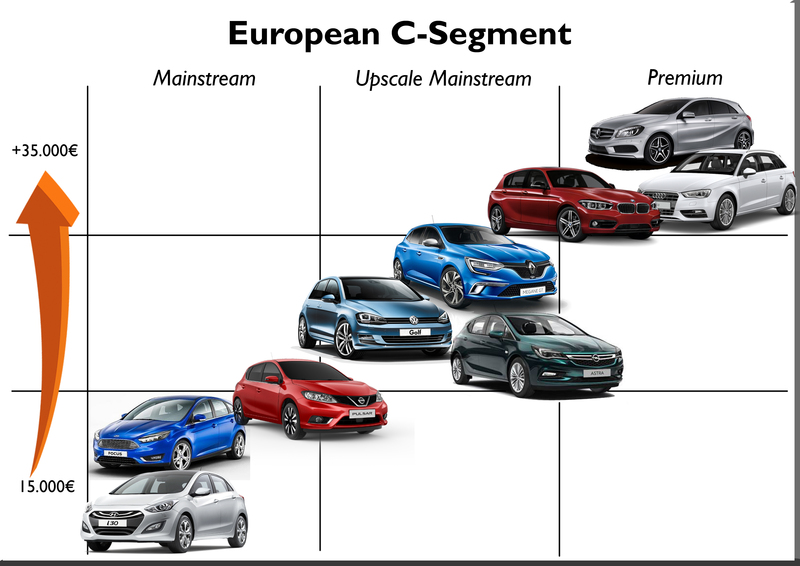 Current compact segment in Europe is divided in 3 groups: the entry level ones, the upscale mainstream and the premium ones. Price range starts at 15.000 euro up to more than 35.000 euro. European Compact segment is perhaps the most competitive one as the VW Golf doesn’t only rule without any problem, but the premium Germans have also an important role. Lately the segment has experienced a subdivision between 3 different sub-segments: the mainstreams, upscale mainstreams and the premiums. The first group is mostly composed by the Koreans and Japanese along with the Ford Focus, Citroen C4, Peugeot 308 and Seat Leon. The Golf is positioned between them and the premiums and it is a direct rival of the new Renault Megane, Opel Astra and Skoda Octavia. Finally there are the Audi A3, BMW 1-Series, Mercedes A-Class, Lexus CT, Volvo V40 and the new Infiniti Q30 that complete the C-Segment. After the Lancia Delta and Fiat Bravo’s flop, FCA wants to be back in the fight with a mainstream Aegea right in the bottom of the segment. Fiat will position the Aegea as the most affordable compact car in Europe thanks to its origin, no-frills content (only with the necessary) and small and efficient engines. Prices are expected to start from 12.000 euro for the sedan with powered by engines with less than 100cv. This is certainly lower than the entry price of the Alfa Romeo Giulietta, at 16.000 euro. After many failures, FCA guys know they can’t do anything against the leaders of the segment so this time they’re back but with a cheap big compact priced as a B-Segment and with the idea of becoming a real alternative to the Hyundai i30, Kia Cee’d, Ford Focus and others, but at the same time to the 5-door VW Polo, Ford Fiesta, Renault Clio and Peugeot 208. In other words, Fiat will offer roominess, comfort and low prices in the middle of two segments. I think it’s the right positioning considering the bad reputation that have the Bravo, Stilo and Bravo/Brava. It’s better not to compete in the same price range of the Golf and Co., while creating a sort of low-cost compact segment with good quality cars at very competitive prices. However the company shouldn’t expect high volumes in terms of demand taking into account that most of the clients of the C-Segment are very conservative and they don’t normally switch brands. My own forecast indicates that Fiat will sell around 50.000 units per year (at its best), right behind the 500, Panda, 500X, Punto and 500L. The next question is the impact this new family will have on the sales of the Fiat Punto, taking into account the small price gap there will be between them, the age of the Punto and the positioning of the 500 and Panda from the bottom. If Fiat keeps pushing the 500 up while it launches a no-frills compact, there will be less room in the B-Segment, in this case the old Punto. The brand is finally killing the Punto with a 12.000 euro Aegea, as there won’t be anymore reasons to get a Punto when you can get a bigger and younger car paying just some money more. This could be a dangerous game for the brand because if it ever launches a new generation Punto or a new sub-compact, then it will be quite hard to be positioned as it has already big competitors at home. Fiat is saying goodbye to the B-Segment, Europe’s largest. It’s important to remember that the Punto used to be Fiat’s best-selling car in Europe, one of the 10 best-selling in Europe and an important source of workforce in Italy, where it is produced. 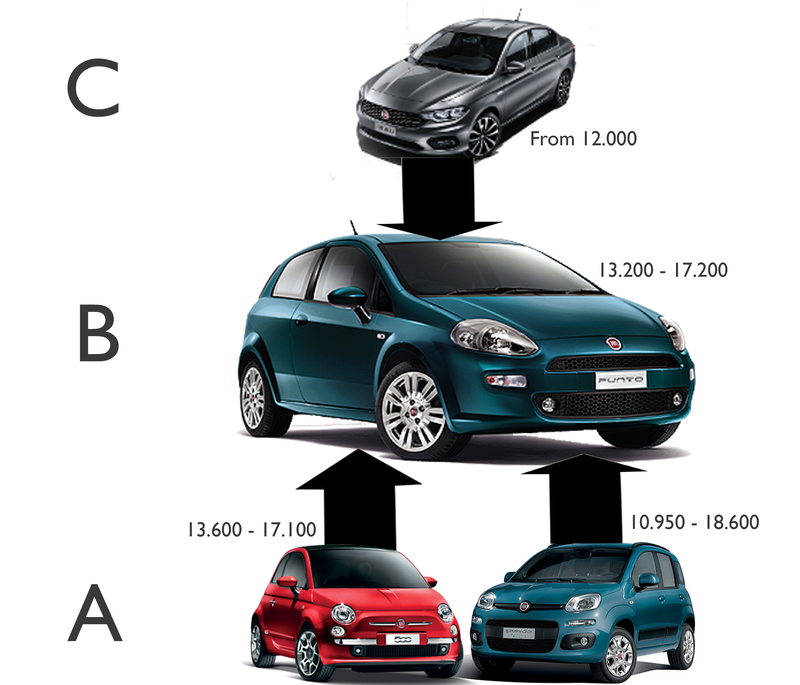 Does it worth it to sell 50.000 Turkish compact Fiats? ← Lancia updates the Ypsilon. What’s the people’s opinion? Where did you get base price for Aegea? Even old Linea is more expensive than that in Turkey. In most western European countries base price for Giulietta is around 20k euros. Also taxation system in Europe is tricky. So in many countries base 1.3 diesel will be cheaper than 1.4 gasoline while 1.6 gasoline engine will be way more than 1.6 diesel. It’s funny but true. Thanks for the information. I haven’t heard anything about it. The pricing is irrealistic – as said also below in other comments. In Italy rumors say the starting price is around 16/17.000 euros (which on the basis of what the car includes can be simply honest or truly a bargain, we’ll see…). Other rumors circulating: there will be 2 B-segment cars: one aspirational and one functional… no idea whether this can be true or not. You also overlooked or you did not have it info about stop of Punto’s production at the end of this year. With that in mind many things get more clear. Another thing to take into account is the inevitable drop in sales that VW, Seat and Skoda will suffer that will shift buyers to other brands. Fiat may capitalize with this if they are fast in launching the Egea. As for the Punto I bet they will replace it with a 5-door version of the 500 with a similar design to the 500X. Also you mention that the Bravo didn’t sell well because they didn’t have enough body types to be successful in the C-segment. But the Egea WILL have a SW and hatch version. So in theory they will overcome the shortcoming of the Bravo by providing all body types that are essential for finantial success. I would expect the Egea to sell quite a bit more if it’s sold in the same number of european markets as the Bravo was. As I have seen Aegea from inside and out, I must say that it is an absolutely excellent car, not made to be “wow” looking, but to be nicelooking to mainstream buyers. Also, to show quality and functionality. Similar mainstream goodlooking effect for its segment shows new Giulia. 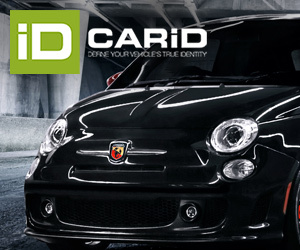 I was afraid that Fiat will repeat two main mistakes from earlier new launches of decent cars. First is high pricing, and second is weak engines for entry versions at first period of sales. As I have heard, nothing from both will happen this time. I hope so. Sedan will try to take piece primarily from Skoda Octavia as main rival in Europe, and in Turkey and Africa from Renault Fluence and PSA twins C-Elysse/301. By the way, I think that platform for Aegea is C segment, same as for Giulietta/Dart/Viaggio. In reality car looks much, much bigger then Linea, it is definitely C. Platform “B-wide” will stay for B MPV (500L), B-SUVs (500X/Renegade) and new 5-door 500 for 2017. I believe Aegea has potential due to the fact that too many competition went to “semipremium” approach (real or fake) in C segment, even Japanese and Korean. So, there is plenty of room for cheap but quality car like Octavia, but with 3 body versions to show versatility and gain more share. Punto is out of any further considerations, in next 1-2 years I hope for his stylish successor, 5-door 500 (imagine lower 500X with less premium interior and more simple mechanics, that will cost more/less the same as Aegea trio). 5-door 500 will be “aspirational”, Aegeas will be “functional”, for same amount of money. Egea is on SCSS platform and not on Compact. It’s not a B-segment platform. It’s a modular platform suitable for both B and C segments. Dodge Fart with its version of Compact platform is more like a European D-segment, it’s to wide to be considered as European C-segment. With few more cm in wheelbase it would be true D-segment. This car should become the Chrysler 100, leaving Fiat with a double range of chic and practical, as mentioned before. Chrysler could become the Vauxhall/Opel or Ford in Europe. Fiat could have range of cars for city and supermini cars; think of making the Doblo into a grand Panda. From what I understand, this vehicle will be sold as a mainstream Chrysler 100 model in e U.S. at a significantly higher price than the 12000€ fiat has planned for Europe. Unusual that Fiat would degrade the model to compete with Dacia in one market and Buick in another. Fiat really needs to refocus it’s gameplan again: Does it want to compete with lower end Dacia/Renault products or upstream VW, Opel and Mini brands? Chrysler should be the FCA competitor to Ford and Buick/Opel/Vauxhall. Fiat has a special niches for small cars, the 500 range could be expanded to include a larger hatch replacing the Punto, while the Panda would expand to include the Uno, (3dr Panda) and the Doblo. My idea would be to make Alfa a true sports brand, by producing a range of small sports cars, as entry level Ferrari. Perhaps this would leave space for a Lancia comeback!!! Even though the chrysler brand is moving more mainstream, I understood the U.S. version is targeting cars from the Ford Focus to the Buick Verano. I can’t see that happening if the Chrysler car is based on a vehicle designed to compete in the Dacia class..
It’s called Tipo in Europe and it’s official. I think the article is great though, especially the idea of 3 levels of competition in the group. Upscale mainstream is a great description of those brands, that do not have the brand cache that the premium brands do, but offer a quality product. I agree that the insight on the 3 types of competition in the C segment is a nice insight! But the brands are not correctly positioned in the 3 layers, Skoda is not a rival of the Golf (of course….) and Opel Astra is largely on the same level of Ford Focus. Volvo is more in line with Golf than with the other premiums, as is Alfa Romeo’s Giulietta. A little bit of confusion on this…. Fiat would then focus on a double range of Smaller cars in upscale mainstream, (chic, 500 family etc. ), and functional, (where space and practicality are first, but quality is not comprimised, so still upscale mainstream), as this would compliment Chrysler well. 300 should be an American only model, competing with larger cars. Dodge should look to being an American Muscle brand, with upscale mainstream cars with a brash look, the Dart has too soft styling. Caravan – sporty MPV, think Ford S-max which has done really well in UK. All that would be left to organise would be positioning of Alfa, rebirth of Lancia and development of Maserati and Jeep. I keep reading that there is a new B segment hatch on the way in addition to the Tipo. There are persistent rumors of a 4 door 500 Plus model coming. The segment is too important to Fiat to leave it. I don’t see it hurting existing Fiat sales. The Punto is already dead outside Italy in terms of market share. Its possible young families might cross shop it with the 500L but they are probably doing that anyway with the Skoda Octavia. In terms of “cheap” C segment family saloons – the Octavia is the current standard to aspire to. In Italy though – that entire segment of the market is migrating to small CUVs. Only the Golf is still selling well . Domestically. they could easily take a bunch of sales from Toyota’s Auris also. Juan, did you see the New Fiat Toro in Brazil? Yes. It looks pretty good. The front looks a bit like Citroen cactus. This could be the face of the ‘practical’ range in Fiat. Interesting that the spec says that it will seat 5 in luxurious comfort. You did such a good job J.F. Congrats! Well done analysis. Always best reading. The fact that so many people seem unable to spell Aegea correctly (ignorant to the geographical reference) shows Fiat correct to call the hatchback and estate versions “Tipo”! The Dacia Logan effect. This might work. People want / need basic, simple, reliable and affordable cars. The Linea sedan > Tipo might just be that car. Looks a treat. Can’t wait to see some sales figures. (Grande) Punto still does reasonably well over here in the Netherlands. Basically the Linea is a Punto Sedan (ish). As a good looking compact B is a winner there needs to be a solid Punto follow up. Also, the Punto name carries great legacy. < 100 cv I dunno. There has to be a 120 cv version to choose the < 100 cv option. Just my 2 pence here.